Apple to go radio ga-ga and create Pandora rival? 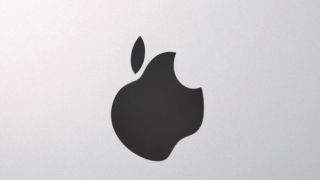 Apple is eyeing up the lucrative music streaming market and could well be set to release its own online radio station. This is according to a report by the Wall Street Journal which believes that the computing giant is prepping a custom-radio service. Apple is already in the business of matching up music tastes. Its Genius algorithm within iTunes does a decent job of creating playlists based on a user's iTunes account, but Apple may be about to extend this to music streaming. In the US, online radio is dominated by Pandora, while in the UK Last.fm does the job of offering taste-based playlists. According to the WSJ, Pandora is finding the cost of music royalties too high, with the company never actually making a profit because of what it pays out to artists. It is thought that Apple is busy negotiating its own terms, however, as it looks to find profit despite the high cost of music license fees. It has been rumoured for a while that Apple is hoping to offer a similar all-you-can-eat music service to rival the likes of Spotify. Releasing a streaming radio service would be a decent go-between, especially if Apple is struggling to sign up all the major record labels. By offering a service that essentially chooses the music for you (albeit based on a user's taste) it can mask the fact that some big artists are missing from the music available. Couple this with the advertisements that will be sprinkled throughout the radio station and it could be another money maker for Apple. Apple is set to launch the iPhone 5 September 12, but it is not thought that we will hear about Apple radio at the event – according to the WSJ, it will be months before the service officially launches.